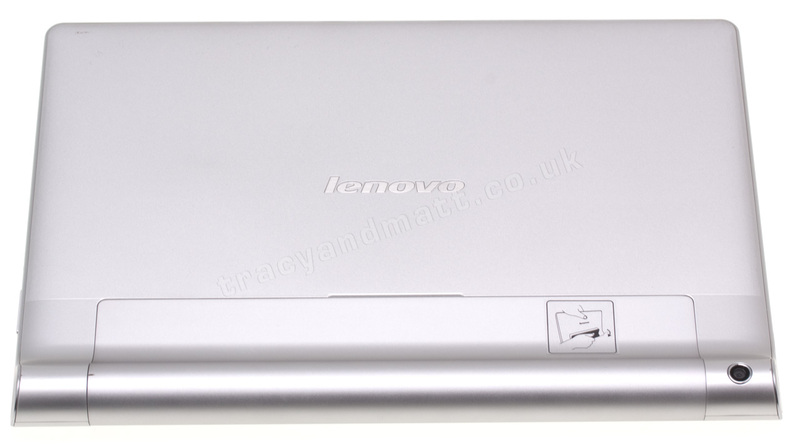 Lenovo have several Android tablets on the market at the moment and we recently looked at the IdeaTab A3000. A couple of weeks ago Lenovo announced two new Android tablets to join their lineup, the Lenovo Yoga Tablet 8 and Lenovo Yoga Tablet 10. The two tablets are identical aside from the size with 8 and 10-inch displays respectively. 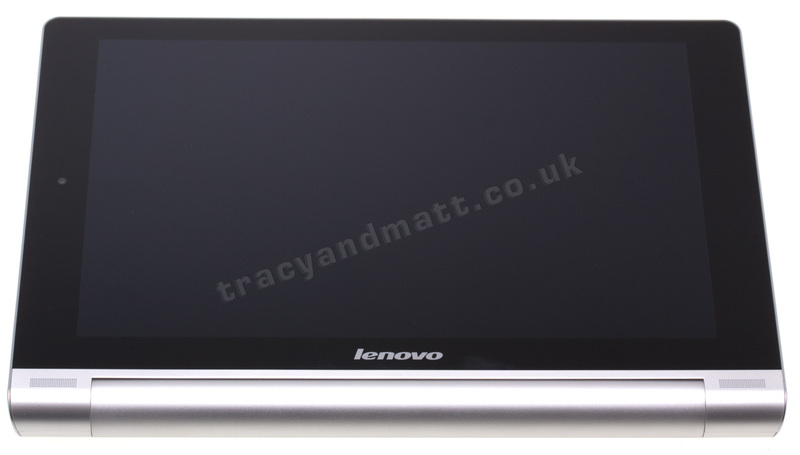 Ours will be a Lenovo Yoga Tablet 10 review. These new Yoga tablets are a little different to the normal slab-style device that everyone else is bringing out at the moment and clearly some thought has gone in to the design. The most striking thing about them is the large bulge on the bottom of an otherwise slim form tablet. 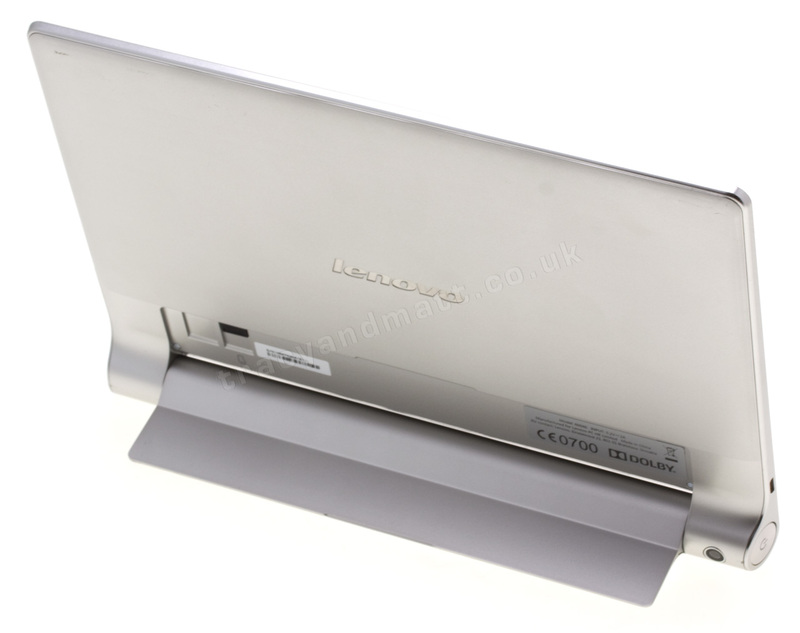 That bulge houses a large 9000mAh battery and also neatly hides a kick-stand that allows the tablet to either stand virtually upright or, if you lay it down, angle the screen towards the user at a convenient desk-viewing angle. 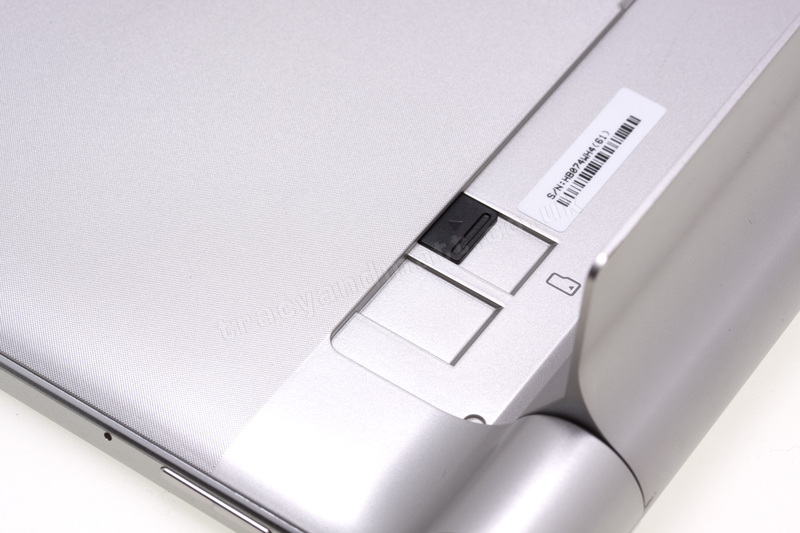 Both the Lenovo Yoga Tablet 8 and Lenovo Yoga Tablet 10 have a premium aluminium construction that makes then feel far more sturdy than many of the all-plastic alternatives out there and Lenovo have managed to achieve this without the tablet looking or feeling too industrial. Check out the unboxing video below to see the design and that unique stand in a little more detail. 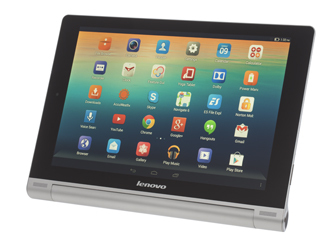 Her’s just a short Lenovo Yoga Tablet 10 review for now. I wanted to get my initial impressions up alongside the video before I go in to a lot more detail later. 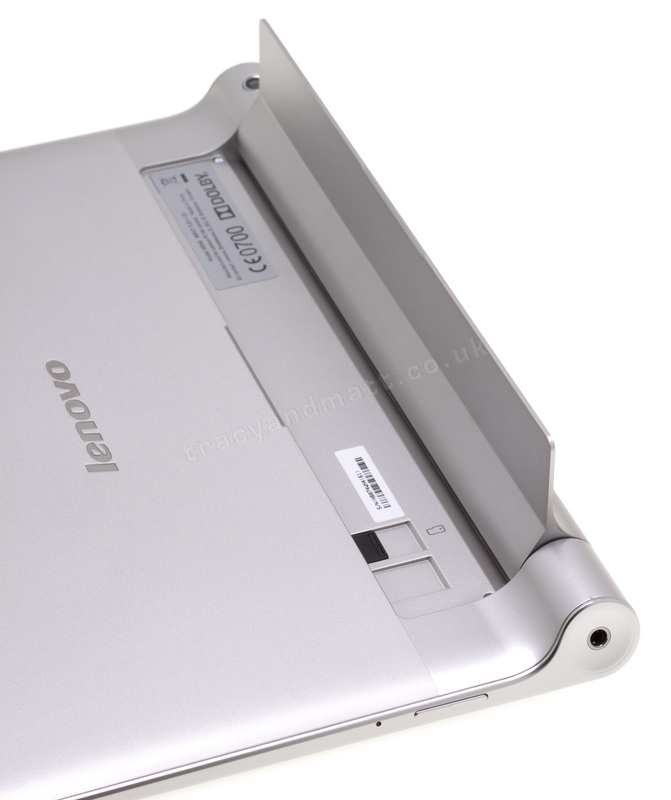 Lenovo say that the Yoga 10 is capable of up to 18 hours of web browsing on just one charge. While I’m not about to sit here and browse the web for 18 hours straight, I can tell you that the battery life seems to be really very good. Out of the box the Yoga had around 40% charge and I’ve been using it all day for the video and putting the review together and it’s still going strong. 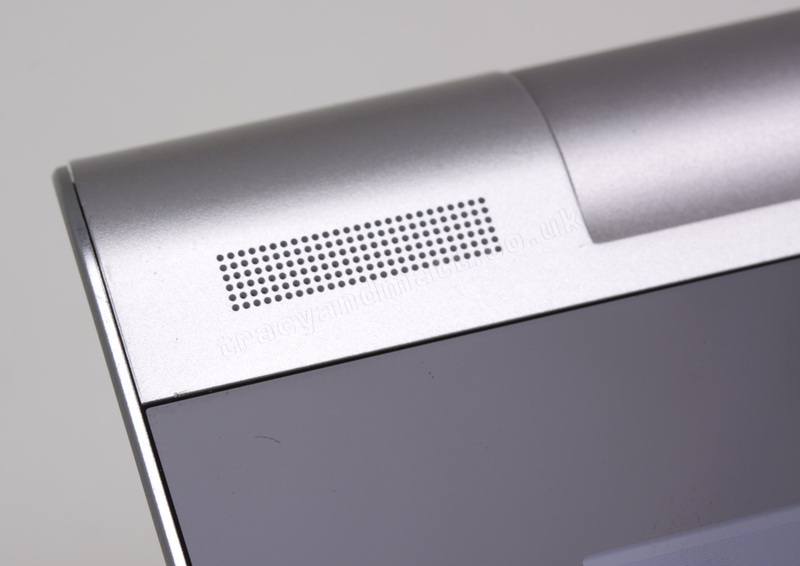 Another good thing with the Yoga 10 is that there’s a pair of speakers for stereo audio playback. 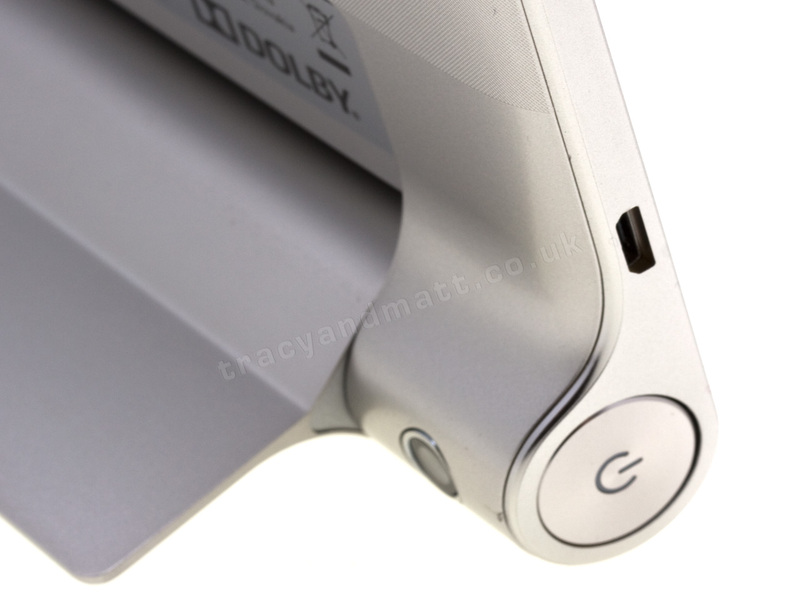 The speakers are sensibly placed to face forward when you are in landscape mode, ideal for watching video. The speakers may not be that large and certainly there’s not much low-end but in terms of sheer volume it does rather well. There’s also Dolby Digital Plus built in to help the audio along a bit. Screen-wise the Lenovo Yoga Tablet 10 is OK. It’s not going to win any prizes but there are worse screens out there. 1280 x 800 pixels isn’t exactly watch you’d call dense these days but that said it’s a bright IPS display that’s pretty clear. My final word for now is going to be on performance. Once again the 1.2GHz quad-core A7 chip isn’t exactly going to break any speed records but as you may be able to gather from the benchmark in the video, the Yoga 10 doesn’t disgrace itself either. In real-world use it’s fairly responsive and for the tasks I’d be performing regularly, such as web browsing, Hangouts and the like it does just fine and in terms of the few games I play on Android, it runs those without a hitch. 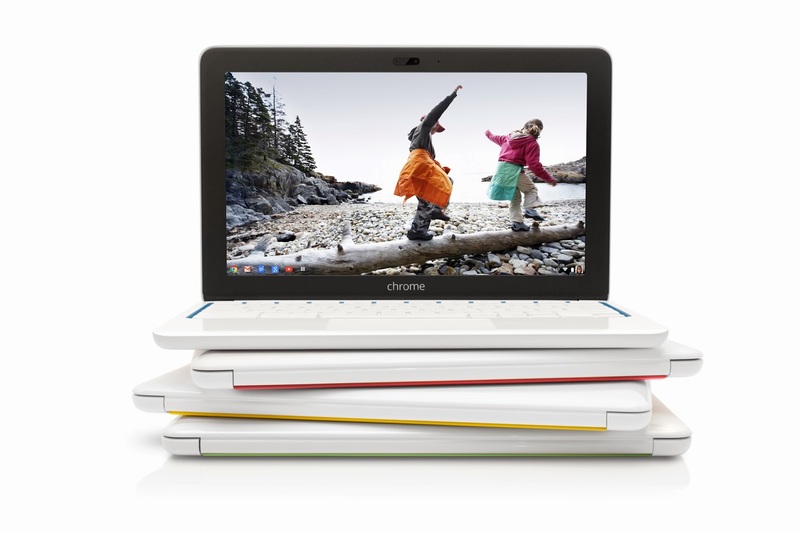 HP and Google are recommending HP Chromebook 11 owners to not use the charger provided with their devices. Luckily for those who have already purchased on they can use the micro-USB for charging, owners should at least have plenty of phone chargers around to keep their Chromebooks chugging along safely. The jump from flat-screen TV to Smart TV doesn’t have to be a big one – and you don’t have to bust your budget to get it done. Mine’s a modest 22-inch Samsung, but I’ve managed to transform it into a smart TV. I had to. So underwhelmed with regular television – and so enamored with everything else to see on a big screen (movies, video clips, the Internet) – I was determined to make my lounge-chair time even better. My TV wasn’t going to get into Harvard before I began to tinker, let’s just say that. Here’s what I tried to plug into it to boost the IQ of my big screen. That PC you still have around? Put it to work with your TV. My Samsung has a VGA entry port that can connect to my TV. I had to buy the right cord for the job. My PC is still pretty fast, so I’m able to watch movies and let the kids play video games when it’s connected to the TV. The power bill’s a bit of a problem, though. How smart? : This would work better with a Macbook Air or some such device out of my price range. A dumb TV is a smart TV just waiting to happen. Chromecast, a dongle that lets you stream media, can also show anything open in a Google Chrome browser. Google’s app-to-TV dongle supports six apps overall, including Google Play Movies &TV; Google Play Music; Hulu Plus; Netflix; Pandora; and YouTube. With Google’s support, Chromecast has the potential for more apps and features by name alone. How smart? : The price is about a third of that of similar products such as Apple TV, Plair or Roku. I’d say that’s pretty smart. All you need is the SmartGlass app (if you have the Xbox and an Android, iOS or Windows smartphone.) Your enabled device becomes a second screen, allowing you to watch movies and browse the web. Get relevant immersive details while you watch a game, movie or TV show. You’ll need an Xbox Live membership to download a lot of apps, such as HBOGO and Netflix. How smart? : The app’s amazing – and can provide real-time strategy while you play online games. In our case, we had the PC and Xbox, which wiped out the need for a trip to the store. The Xbox by far provided the best option for everyone involved, but Google Chromecast holds the best potential. Both Chromecast and Xbox worked best when we upgraded to fiber-optic Internet. Dropping $1,000 on a smart TV is just not very smart.